When we think of the Wild West, we think mostly of men–the cowboys and outlaws immortalized in film, TV, radio, and on the page. But the West was a place where women could bend, break, and stretch the rules, too. By 1914, nearly every state west of the Mississippi had granted women suffrage; it took three more years for any eastern state to enfranchise them. The West took the lead when it came to divorce statutes (and instituting no-fault divorce), as well as in the election of women to higher offices: In 1999, Arizona swore in an unprecedented five women to top executive positions. Are gender roles more flexible in the West? Have women had different opportunities here than in other regions? Former Supreme Court Justice Sandra Day O’Connor and Girl Scouts USA CEO Anna Maria Chávez — both native Arizonans — discuss what it means to be a Western woman. Moderated by Sacramento Bee publisher Cheryl Dell. 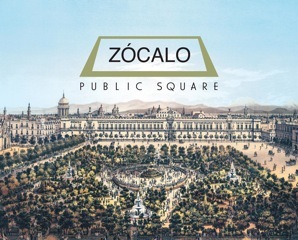 Hosted by the Smithsonian National Museum of American History and Zócalo Public Square.